Take part in the Australian Museum's FrogID Week, Australia’s biggest frog count! Frogs are a sign of a healthy environment, but around Australia frogs are declining and many are endangered. By counting Australia's frogs we can learn more about where they are and how they're doing. There’s no way scientists can count Australia’s frogs on their own. The country’s too big and there’s too many frogs! That’s where you come in. With FrogID, citizen scientists just like you can help us put frogs on the map! Visit the website to register, download the app and get involved! Australia has over 240 known species of frog, almost all of which are found nowhere else in the world. Some species are flourishing, like the Striped Marsh Frog. But others have declined dramatically since the 1980s, and four have become extinct. FrogID is a national citizen science project that is helping us learn more about what is happening to Australia’s frogs.  All around the country, people are recording frog calls with nothing more than a smartphone. With the data obtained through FrogID we are able to track the Cane Toad and identify where frogs are thriving and where they aren’t. And by matching calls to weather and habitat, we are learning more about how different frog species are responding to a changing environment. This information could be crucial in saving Australia’s frogs.